In response to Ailsa’s Travel Theme this week I’ve travelled through time rather than space to bring you a family memory. 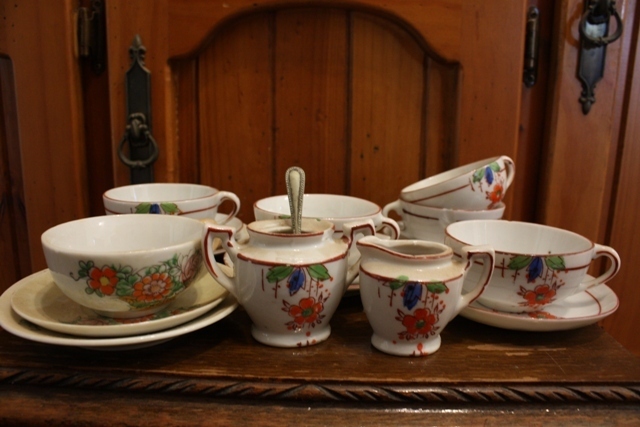 This mismatched, chipped and much used tea set is what’s left of my Mum’s 1943 Christmas gift. It wasn’t easy for my Grandparents to buy it during WWII, but they managed to put some pieces together. 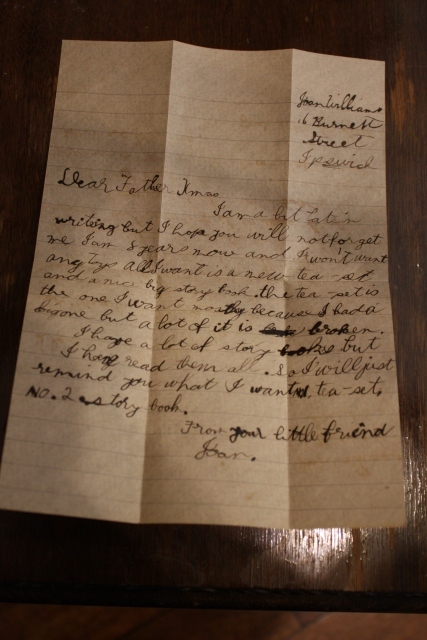 And, as you see, we also have the letter Mum wrote to Santa that year. I am a bit late in writing but I hope you will not forget me. I am 8 years now and I won’t want any toys. All I want is a new tea-set and a nice big story book. The tea-set is the one I want mostly because I had a big one but a lot of it is broken. I have a lot of story books but I have read them all. So I will just remind you what I wanted. No 1 tea-set, No2 a story-book.